I came straight back from a terrific holiday overseas…right back into the worst cold I’ve had in years. So the last week I’ve been living on smoothies and raw veggies, pumping myself full of as many nutrients as I can manage, in an attempt to get well. It must be working, as I’m pretty much over the nasty bug already. – Approximately 4 litres / 1 gallon of water (fill a really big pot to 3/4 full). Chop ingredients and add to large pot. Add water. Bring to boil and boil 20 minutes. Simmer a further 20 minutes until vegetables are soft. Blend in the pot with a stick blender until pureed. You may wish to add more hot water to reduce thickness of soup. Serves MANY! Makes about 20 portions. 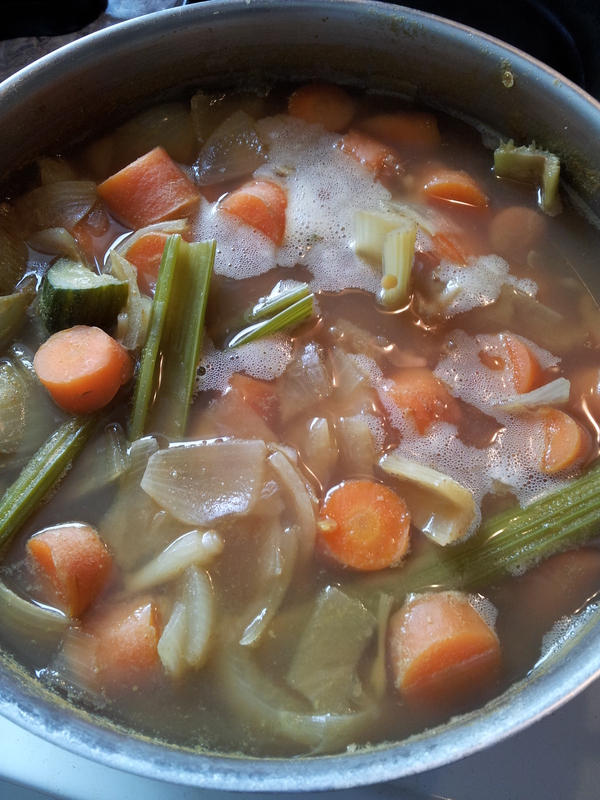 This is a terrific soup for winter, cold weather, and for getting over illness. Can be frozen into portions. 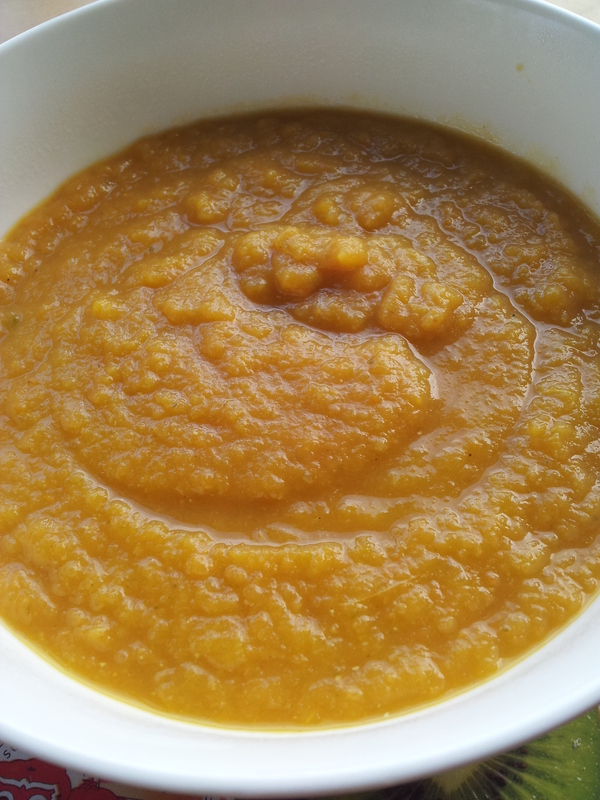 Yummy carrot and onion soup – and so healthy! This will kill my cold for sure!